﻿ Best Price on Tierra de Suenos Lodge & Wellness Center in Puerto Viejo de Talamanca + Reviews! Tierra de Suenos Lodge & Wellness Center is set in the jungle 0.6 mi from Chiquita Beach and 1.9 mi from Punta Uva Beach. It features free Wi-Fi, a yoga pavilion, spa & massages service and holistic healing. 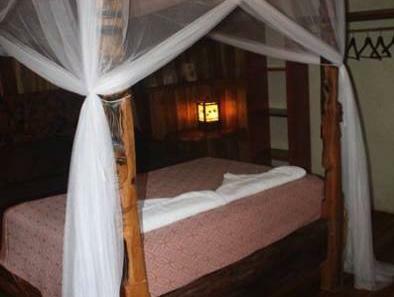 The bungalows feature tropical décor and bamboo walls, including a mosquito net, safety box and a terrace with hammocks. The lodge offers and includes complimentary breakfast for all it's guests The restaurant at this lodge is open for breakfast and offer organic dishes and raw cuisine to its guests. The coffee places and restaurants within a 0.6 mi feature regional food, and a supermarket can be found just 1640 feet away. Activities such as horse riding, snorkeling, canoeing, hiking and cycling can be arranged at Tierra de Suenos Lodge & Wellness Center. 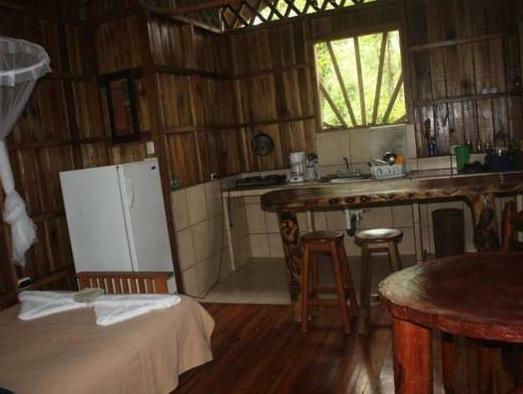 This property is 3.7 mi from Puerto Viejo de Talamanca Town and 30 minutes’ drive from Volio Waterfall. Limon International Airport is 1 hours’ drive away.